Up to 20 passenger. Great for night out. If you've ever subjected yourself to an Arnold Schwarzenegger or Sylvestor Stalone movie, you're bound to have seen a military grade Humvee (Hummer). The Hummer, though initially used as a form of military transport due to its hefty build, has since been turned into soccer mom worthy vehicles and renamed trendy titles like the H2. Once the Hummer went mainstream and could be found at local car dealerships, some brilliant individual decided to stretch it out, spruce it up, stockpile it with beverages, and rent it out to individuals looking to ride in style. 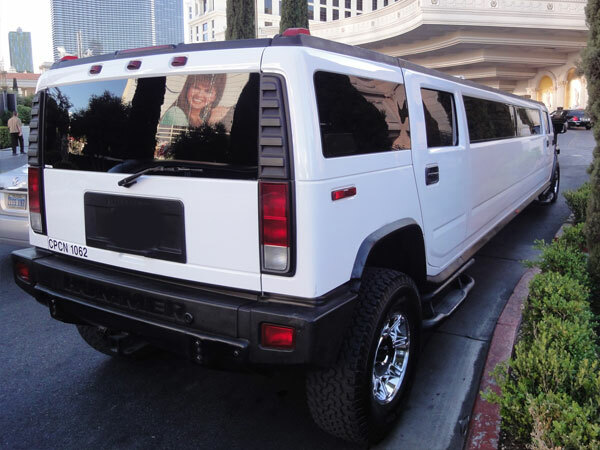 Although the Hummer quickly became the perfect vehicle for soccer moms and small families, in terms of limousines, the Hummer limo is top of the line and needs to be considered for all mobile party needs. Despite its origins as transportation for soldiers, the Hummer quickly became a luxury item for party goers and celebutants alike. Perfect for larger parties, this style of limousine may end up being a bit too big for a simple ride to the airport and a bit too party-centric for an out of town business partner. 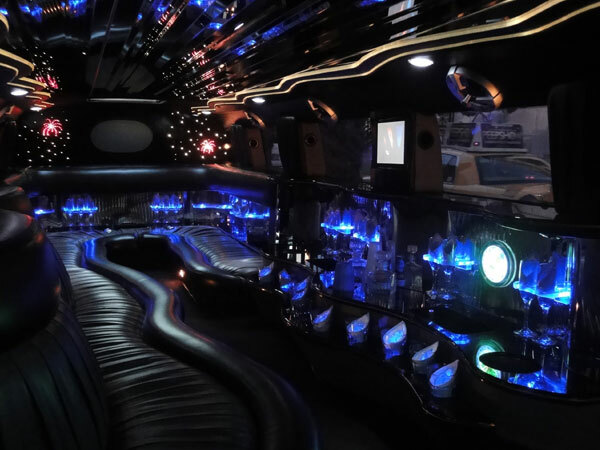 Whether you're planning the perfect Bachelor / Bachelorette party or looking to go in with friends on a classy, unrivaled arrival to your prom, the Hummer limousine offers far more than could be expected of a military class vehicle. 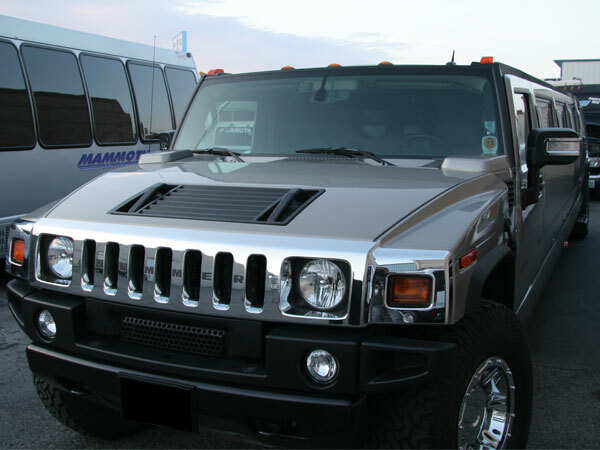 Available in two different styles, the Hummer style limo has a potential maximum capacity of up to twenty-four guests. The larger of the two styles, the H2 stretches to fit its twenty-four inhabitants comfortably and typically offers a full bar to quench all desires. Neon strobe lights offer the perfect party atmosphere and compliment the mirrored ceilings over a small dance floor. Flat screen televisions, DVD players, and iPod attachments enhance the experience and offer a little something for all guests. If you're looking for a smaller vehicle or would rather not divulge in the heavy party feel of the H2, you can take a gander at the H3. The smaller H3 decreases seating to a maximum of fourteen guests, but offers a more intimate experience with wrap-around seating which ensures maximum conversation potential. Despite the smaller size, the H3 also comes equipped with a complete surround sound system attached to an iPod dock and Satellite Radio. Fiber optic lighting offers a warm mood and sets the tone for a more personal affair. Despite the lighter nature, the H3 also comes equipped with a full bar to help loosen the mood. Of all the limousines that are offered, the H2 and H3 limo's a certainly top of the line and offer unbridled experiences. 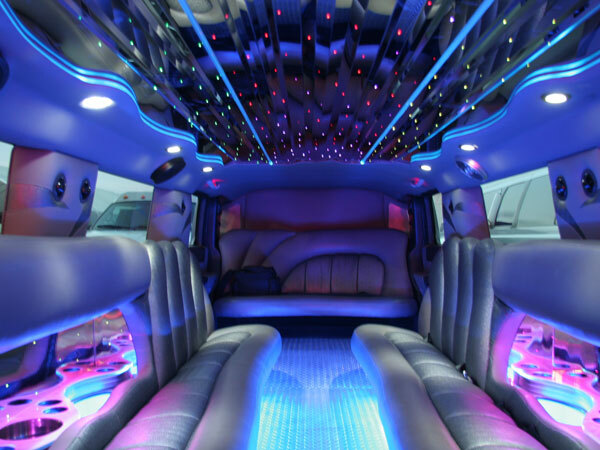 Whether your affair is wild and requires a party atmosphere or more restrained and fits lighter mood lighting, the Hummer style limo class is perfect for all special occasions. Though it may not be meant for leisure travel to an airport, there are plenty of occasions a luxurious ride like the H2 or H3 would be recommended.